A vibrant set of space themed elements; the moon, stars, planets and spaceships. Brilliant set from our collection of teal wall stickers. Do your children love space themed toys? Are you looking for some wall decoration that will make their bedroom more unique and original? 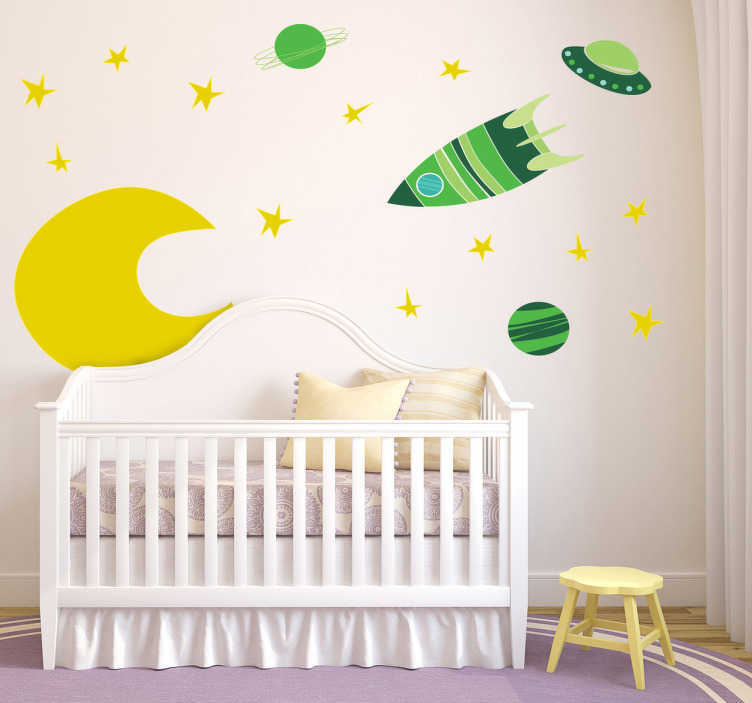 If yes, these space stickers are superb to give their bedroom a personalised appearance. This collection of space themed decals can be placed on smooth surfaces. Ideal for decorating areas for children. You can re-arrange the position of the stickers in your own way. Easy to apply and remove. Available in various sizes.